Have you seen Part 1 of this series yet? It's available here. Alright, we've spoken about WHO you're going to serve, and WHAT you'll stand for and what your message will be about. 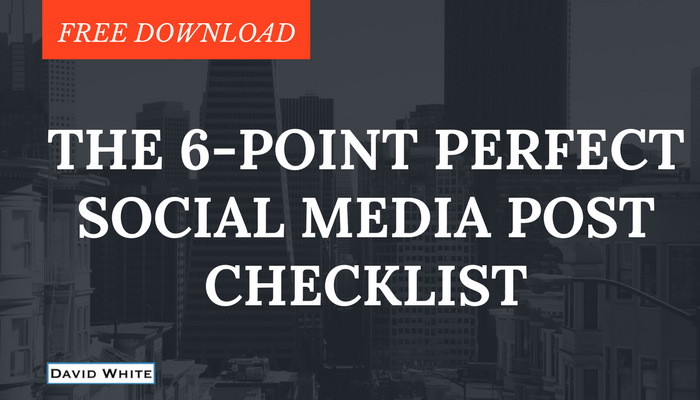 If you have clarity on your market and message, read on! 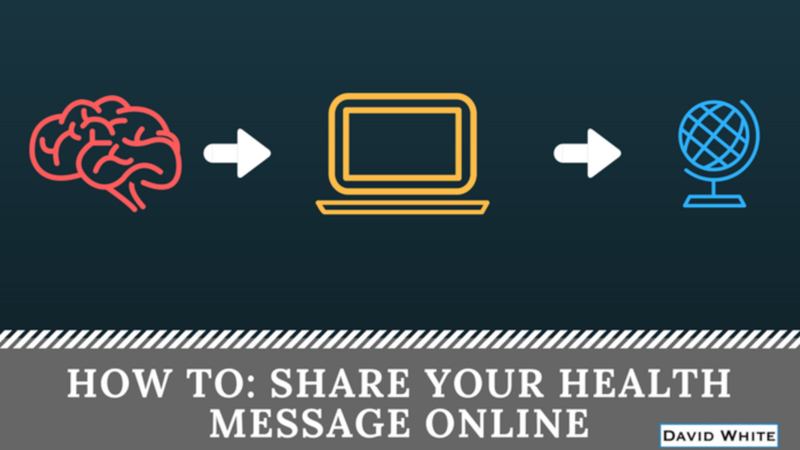 Here we go - what you need to know about getting started sharing your health message online! When you start online you officially enter the ‘content game’. All the great leaders and experts in our field are out there every week sharing ideas, tactics and strategies to help their audiences on the weekly. Unless you’re massively adding value to your audience’s lives with diligent consistency, you can’t become a positive force for change in their lives. When you can help your followers move one (or perhaps many) steps closer to what they ultimately want, it’s natural for them to look to you for more. EVERYONE who has gotten ahead as a health expert does this consistently – so how will you do it? Lead with your best foot forward and give people tools they can use immediately to get progress – you’ll be loved for it. 3. What can you offer that’s going to make a difference to your audience and motivate them to go further? You might think that ‘delivering value and goodwill’ and ‘offering products/services for sale’ are mutually exclusive, and that by offering things that cost money we’re doing people wrong. If you get Steps One through Three done correctly here, this is a natural progression. If you’ve connected with your audience, demonstrated that they can get results through the tools and content you’ve shared, then they will want more from you. If you’ve got a good reason for people to take action, you know where they want to go, and you’ve got a product or service that’s going to help them get away from the problems they’re currently facing, and have more of the things that they do want from life, you need to share it. The key to generating interest and desire in your offerings when you’re in the industry of transformation is to get clear on the end-benefit and result that will be delivered. Your products and services must be designed to achieve an outcome – and if you look around at some of the most successful examples of these that we all know, this becomes even more abundantly clear. Take the example of Tim Ferriss’s best-selling book for entrepreneurs about how to create a 4 Hour Work Week – a clear statement of benefit and outcome. How about “How to Win Friends and Influence People” by Dale Carnegie? Or “The 7 Habits of Highly Effective People” by Steven Covey? Obviously there’s more to this than a name – but the concept of achieving an outcome is what creates interest in your solution. If this offer of a specific benefit and solution is done with your audience’s best interests in mind, and you genuinely care about them and deliver value through this whole process, you can be extremely successful. 5. Don’t freak out if there’s someone else already out there the same thing! Yes, I know that this is a fifth step to a four-step guide. Consider this a bonus. Right now you might be noticing that there’s a lot of similarity between what you want to do, and what someone else might already be doing. Competition is completely fine – and is a good indicator that there’s demand for your idea. You might be thinking about working with people suffering from digestive or hormonal disorders – and you already know someone who is serving that market. That’s ok.
You might have grand plans to help busy parents run a healthy family, and you know you won’t be the only person sharing that message. That’s ok. There is no such thing as ‘my customer’ – and if someone is interested enough to follow someone else’s solution to their problem, they’ll be interested enough to hear about yours, too. Personally, I’m a student of business, marketing and persuasion and I teach these things. I’m a customer and fan of experts like Brendon Burchard, Tony Robbins, Frank Kern, Dr John Demartini, Ryan Deiss, Dan Sullivan, MJ Demarco, Lisa Nichols, Zig Ziglar…. There is no such thing as ‘My Customer’ for those experts, and the same will be true for your audience, too. Don't abandon your dreams - and the people who need to hear your wisdom - just because there's someone else out there doing something similar. Keep your authentic voice, and remember that NOBODY can ever control 100% of any market. You have the makings of a business, and those people who need your help are waiting for you to reach out to them.